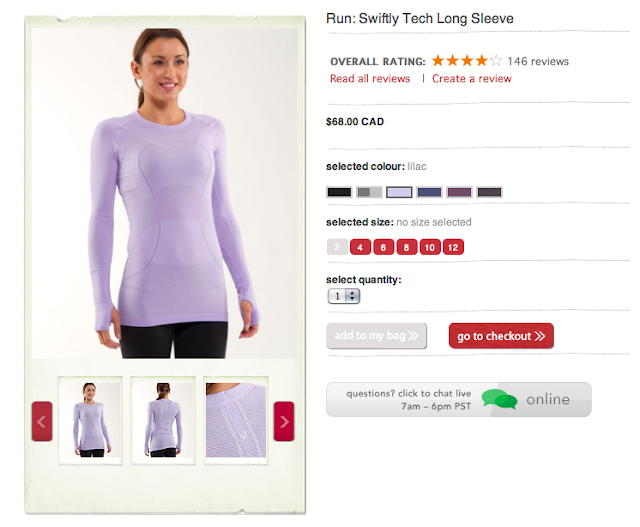 Looks like one of the new improvements to the website is a Live Chat option (lower right) of the product pages. "Product Alert Images: Run: Dog Runner Pants"
"Fit Review: Run: Dog Runner Pants"
Cool! What a fantabulous idea Lulu!